Perfume business is a lucrative business to start. If you want to start your own perfume business company and be ahead of your competitor, it is an advantage to have an initial knowledge in business of making perfumes and selling perfumes. 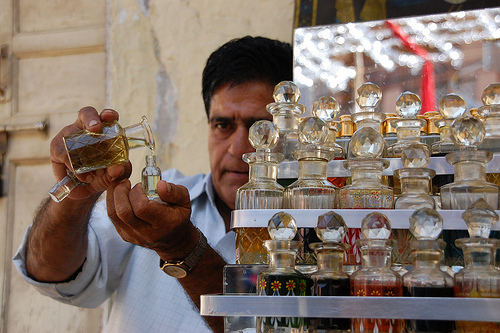 Below is a sample procedure of making perfume. You could get the ingredients in making perfumes in your nearest chem company. 1. Dissolve 2ml Fixative into 30 ml fragrance. 3. In a separate container, mix moisturizer into 26 ml water. 4. slowly add water/ fragrance mixture into deodorized alcohol. 5. Mixture another 10 to 15 minutes. 6. Age perfume to strengthen scent. Refrigerate for a minimum of 24 hrs then store at room temperature away from the sunlight for two days. Shake everyday. 7. optional: Add water based color, food dye. Pwede pong malaman y u are selling it?